Semantic markup us used to reinforce the semantics - or meaning - of the information in a document. 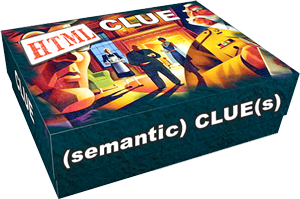 Semantic markup might be used to place emphasis on a word or phrase, or identify a word as being strong. They can also provide citations or quotations , link to definitions, or distinguish editorial changes. We can use this pattern in HTML using text, tags, and markup to create arguments for our content and its meaning.